It's well known that OutRun was partially inspired by the film, The Cannonball Run and a European roadtrip. Yu Suzuki has referenced it in many interviews; the film is even mentioned in the game's original design documentation. However, some other OutRun influences are less well known but equally important. 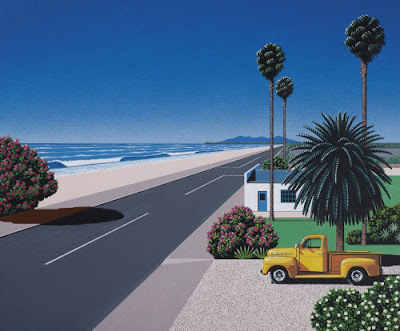 First is the Japanese artist Hiroshi Nagai. His work extensively features roads running adjacent to shining blue sea, bright foliage, palm trees and the colour palette OutRun fans will recognise. Now we know why OutRun features so many pink flowers! Interestingly, Nagai provides the cover art for a 1982 Japanese album, entitled September Wind, composed by Naoya Matsuoka & Wesing. 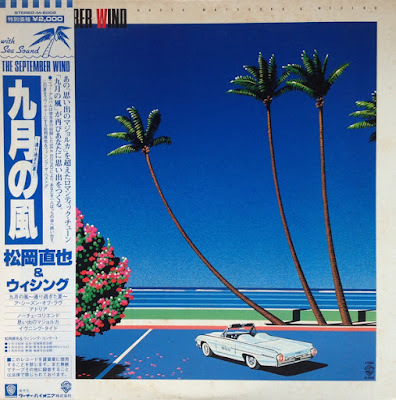 OutRun composer, Hiroshi Kawaguchi references Matsuoka's work as a direct inspiration for OutRun's score claiming that without it OutRun wouldn't have been born. The album itself features the sound of waves breaking between the tracks, reminiscent of OutRun's music selection screen. 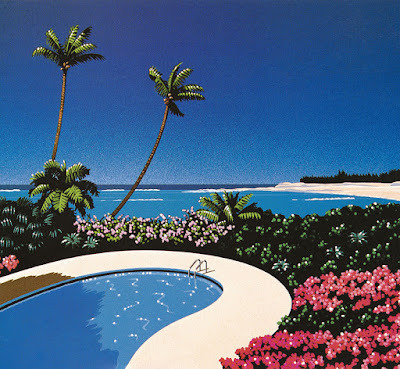 Some of the OutRun melodies are influenced by tracks on the album. For example, Passing Breeze, definitely bears some similarities to A Season of Love. Overall, it's the perfect listening material for any OutRun fan! Thank you so much providing such info, now listening "Noche corriendo" tune, background drums are very familiar to any outrun fan. does anyone know if Chris White is involved with this please?